A pedal powered tractor for cultivation and seeding, built from readily available lawn tractor, ATV, and bicycle parts. Speed is 3 - 4 mph depending on choice of gearing and pedaling speed. Better for operator's body, less soil compaction, no fuel use, cheaper than a tractor; easily adaptable to specific needs. A cattle farmer occasionally needs to weigh his animals, but weigh scales for cattle are expensive to purchase for the small operator ($1,000 to $1,500 or more). 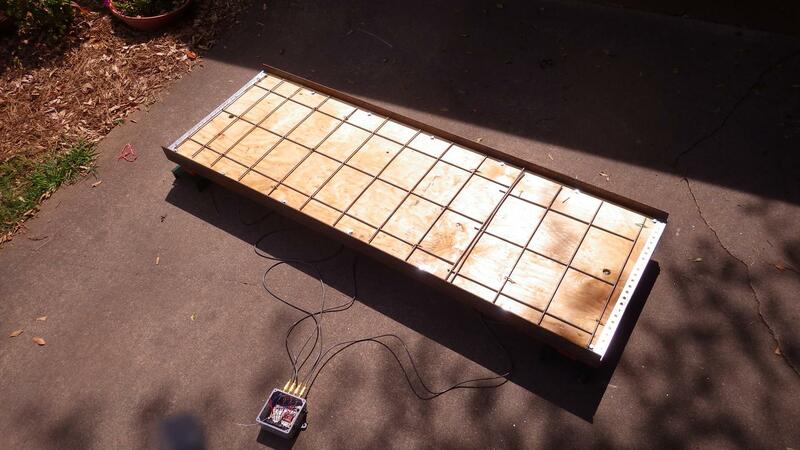 This is an accurate electronic scale you can make yourself for about $500. 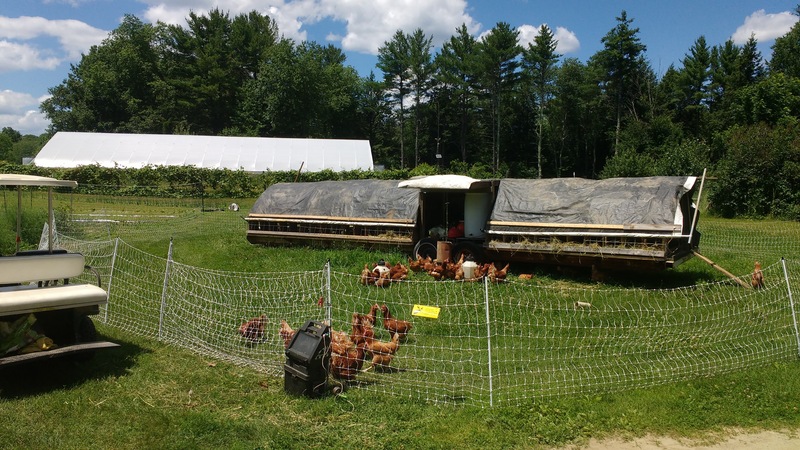 A simply constructed 28’ Hoop Chicken Trailer for up to 150 birds. It is designed to be light weight enough to be moved by a very small tractor or ATV and have easy access to food and water for several days and provide easy access to clean egg collection. A table top poultry plucker for removing feathers on chickens, turkeys and other fowl. 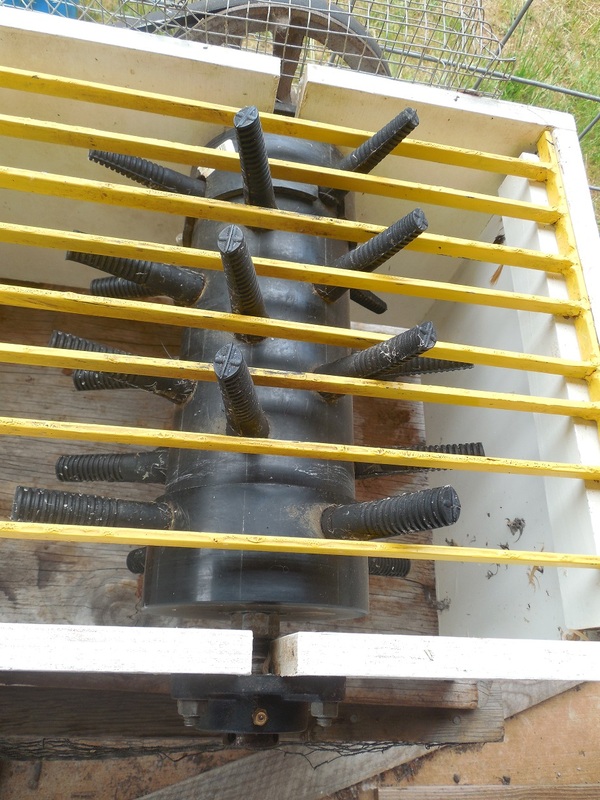 This was built mostly with salvaged materials, and can be put together quite simply - only one part required welding, and there are probably ways that you could modify the design to eliminate any metalworking. 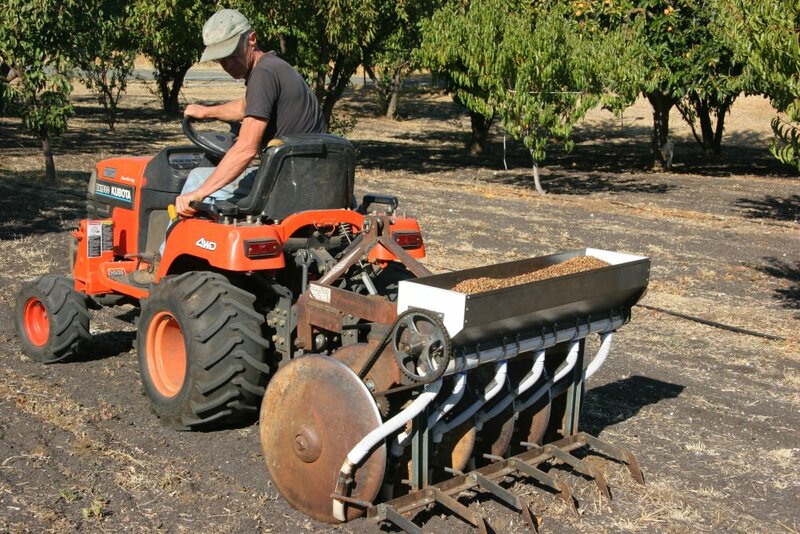 This is my home built no-till seed drill I use for planting legume mix winter cover crop seed in our stone fruit orchard. It produces very uniform seed spacing and depth with minimal soil disturbance, allowing optimum germination in our dry farmed environment. 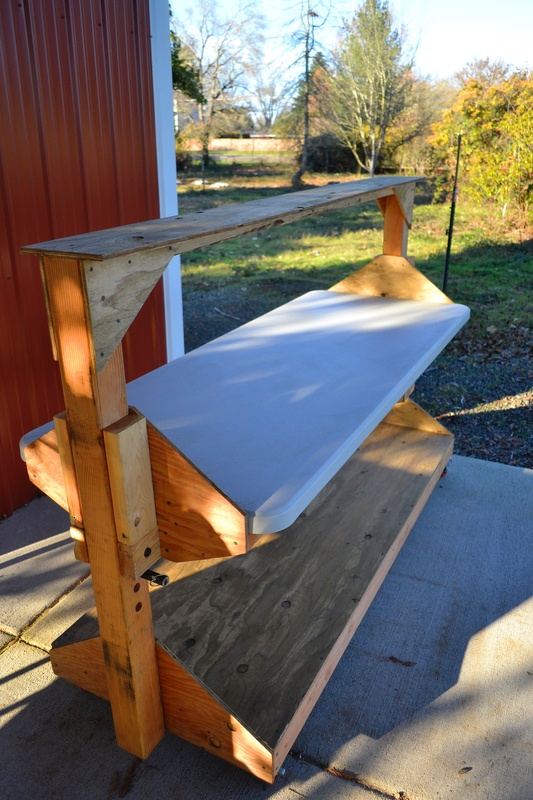 This is a rolling table with under and over shelves designed for packing vegetables or other crops. It has an adjustable work height to accommodate users of different heights and different tasks. It was designed and built for the Small Farms program at the North Willamette Research and Extension Center in Aurora, Oregon with a Clackamas Extension Innovation Grant. This project turns a 5 gallon bucket into a high capacity (4 gal/day), automatic fill humidifier. The bucket serves as a reservoir for the water and also as a mounting platform for the parts required to operate the humidifier. Water heated to a know temperature will transfer a predictable amount of water vapor to an air stream of a known temperature and humidity (wet bulb temperature). We use this property to develop a highly controlled humidifier using a temperature control to sense water temperature and control the heater, tank deicer for heat, and a CPU fan for air flow. We also add a toilet fill valve to the assembly to allow for automatic fill of the humidifier. NOTE: Pictures shown from the first build do not include complete safety features including: electronics enclosure, GFCI protected circuit / outlet, and terminal covers. Please take care when wiring and using this design to ensure personnel and property protection. 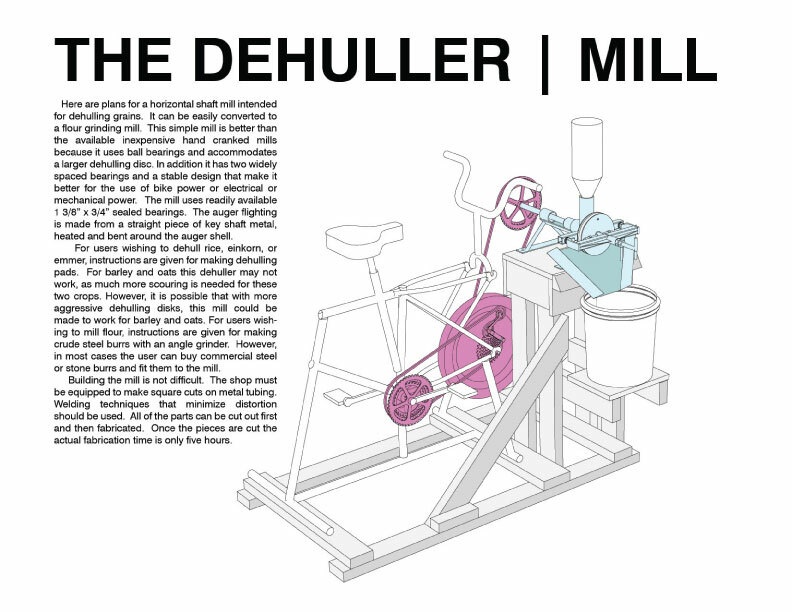 Links below to the complete plans for bike powered tools for small scale grain processing; a thresher, a fan mill/winnower, and a dehuller/flour mill. The plans guide a farmer or a fabricator through step-by-step instructions using wood, metal, and scavenged bicycle parts. The cost of materials is $200 per machine and the machines process about 1# per minute for each process. In a well equipped garage/shop the machines can be built in 20-40 hours each. 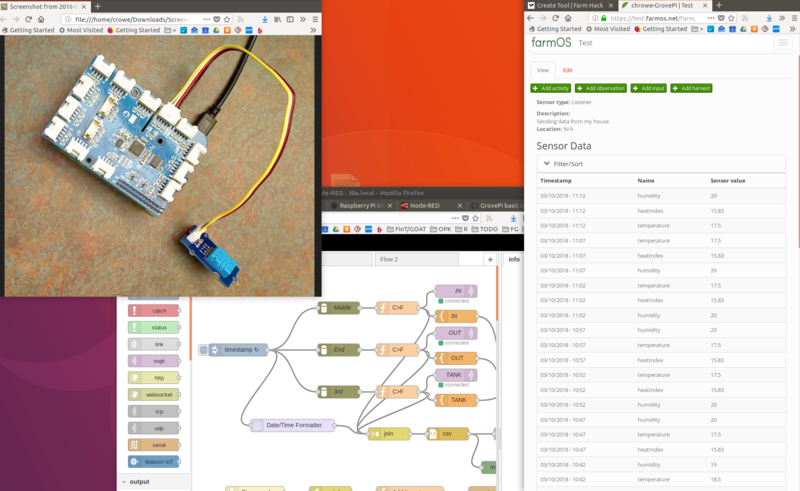 A simple way to collect data from sensors, like temperature and humidity and store it in FarmOS.